Over the next few weeks we are bringing back Lilla’s popular Q&A column, this time with questions from the previous class of Make Art That Sells. You can see what a wide variety of topics are covered – and you might even find the answer to that burning question you have been wanting to ask! We will be sharing a host of questions and answers over the next few Fridays so stay tuned! 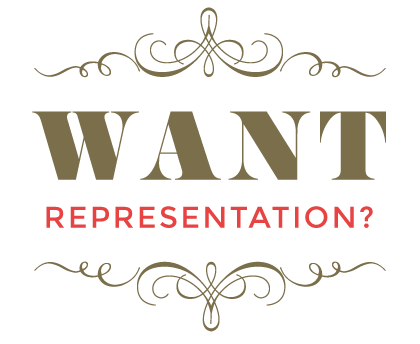 Q) How can we find an agent/ artist representative to represent our work? 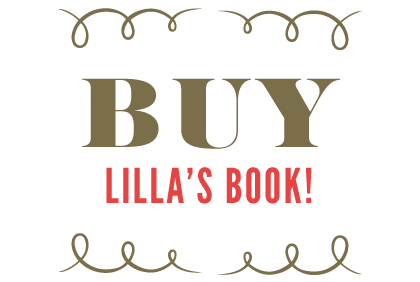 Lilla: The book, “Artist’s and Graphic Designer’s Market” lists agents, and each agent lists how they like to be approached. Generally, I suggest emailing a few lo res jpgs (72 dpi) and a link to a website, plus a little bit on why you’d like an agent, and in particular that agency. Agents take a percentage, from about 30% to 50%. Generally, most agents are exclusive in all categories, but some handle only licensing, or children’s books, for example. Q) Isn’t it a risk to submit art to companies that buy art when they often also develop their own collections and might copy your ideas? Can you protect your work against abuse this way? Lilla: Do you hold everything close to you, or do you risk it and show your work to get work? You show your work. 99% of the time, companies do not copy. They don’t want a lawsuit. Companies that do copy are so rare, and more and more are getting outed by social media and legal action. We as artists can band together now. The more you are a unique brand, the less likely you are to be copied, and when you are, it’s obvious that it’s your work. (This course helps you create your own unique brand, your own special look. So you are in the right place!) Some agencies and artists require passwords to their site. In addition to a blog and portfolios of all our artists work on our site, we do have a password-protected section for our freshest work. It’s a bit of both. You can give a taste on your site and blog, and then send your freshest work out to your favorite clients. Think about any company out there, like Paperchase or Crate & Barrel. Any other manufacturer or retailer can copy or riff off of their products, too. We all take risks. Q) How do you create a story in your design (like squirrels baking pies) instead of just drawing pictures? Do you try to think of something witty? Lilla: Don’t force it. Play. Make up a story. Dream. Space out. Pretend you’re telling a little tale to a child. Where is that little raccoon going? What is she wearing? Not everyone creates stories. It’s not for everyone. No worries. You’ll learn more about this next week in the Children’s Book week. Lilla: Yes, that’s fine, but you want to give value to the client, so the less repetition, the better. Lilla: You want to be able to sell your work around the world. The largest market is English-speaking, so you want to not limit yourself. Be unique in other ways. Q) If we work mainly in Photoshop and a client asks for a file in Illustrator what do we do? Lilla: Work in the program that you like best. Build up your body of work. Most clients can take either format. You can’t second guess who wants what. Work in layers in Photoshop, hi res, and don’t flatten. I have artists that work in Photoshop, and artists that work in Illustrator. Rarely do they work equally in both. And they all get work. If you like flat shapes, Illustrator is best. If you like paint and traditional media and scanning in, Photoshop is best. Q) Up until now I have sold most of my art on print on demand sites such as Society6, Redbubble, Zazzle etc. Would it be OK to license art and also sell it this way? How is this viewed within the industry? Lilla: It’s totally fine. 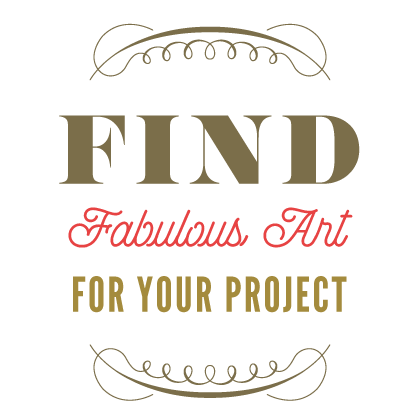 It’s a great way to get your work out there, seen, make some money, link to your products from you site, and test what art of yours is selling well. The next class starts on March 31. Don’t miss out! Find out more and register here. MATS Bootcamp February class gallery now live! The gallery features over 400 pieces of original art inspired by the February class assignments… cuckoo clocks for iPhones in the Gift market. We were blown away by the quality of submissions and love the energy in the Bootcamp community. Everyone is so supportive of each other’s work, and there is clearly a lot of talent in the group! MATS Assignment Bootcamp is for people who crave professional level assignments to stretch you to create fresh signature pieces that are ready to sell in multiple markets, cutting edge trend and inspiration from an art agent who licenses and commissions projects for her artists every single day, and a structure for staying on track and accountable, so you can create a strong body of work over six months. 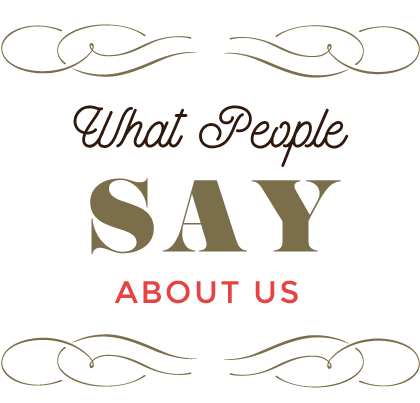 If you want to find out more about any of the featured artists, just click on their work so it opens up larger, then click on the link above the larger image. If you like the look of this class and want to join you can still squeeze in if you register by March 13. 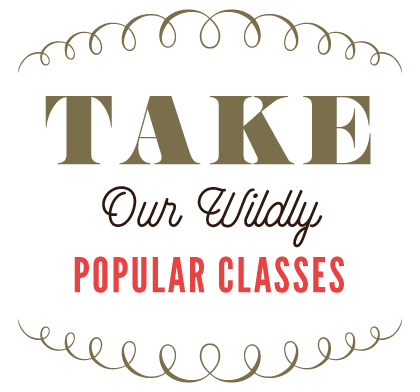 But be quick – this is the ONLY time we will be running this class in 2014. Q) Is it better to try to follow a trend, or to do something completely different with the hope that it is pre-trend, since by the time your product is out on the market, the trend you are following could well be over? Lilla: All of the above. But it is even more important to do work that you respect and find clients for that. As for trend, you can’t predict what the company sees as pre-trend. For some, it’ll be over and for some it’s too ahead, so best to make art you love and find companies who are similar to you. Q) Has the current global economic crisis affected any of the markets we have touched upon in this class and if so how? What do you think the future holds for recovery in each specific market area? Lilla: Never before has there been such a demand for gorgeous, hip products. This is great for artists. Fewer products are sold during a recession but still billions are, and the best ones will always be in demand. So artists have to up their game and shine. Editorial (magazines) took a hit in the late 2000s, but I was just in NYC and I was discussing with a colleague how people will always love the printed page, and we sense a resurgence. 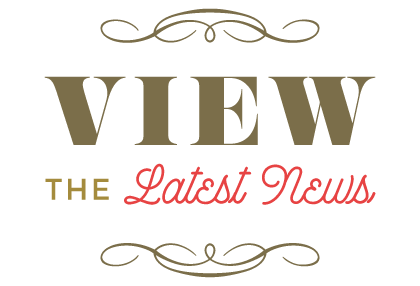 I am seeing some pretty amazing magazines emerge from women publishers. There is always a demand for visuals as we know from Facebook, Tumblr, Flickr, Pinterest, and Instagram. I am very optimistic about editorial and would love to lead the way with an editorial course to help artists make rockin’ great art for this field (stay tuned!) More great art will also help make this market even more exciting and more great art will be bought. It becomes a hot trend. Q) In your opinion, at what point in their career can an agent-less artist justify exhibiting at a show like Surtex? Could you please give some pointers on how to prepare for such a show? Lilla: I go over this in detail in my book and in Week 3 of MATS B. Short answer: This course is a great way to prepare. Make lots of great pieces. At Surtex, you can show anything such as loose prints, portfolios, books like iPhoto or Blurb books, ipads, etc. If you want to sell your prints in the apparel markets, those clients are used to viewing prints. And yes, you certainly can show at Surtex as a agentless artist. I would definitely walk the show first before you invest many thousands of dollars in a booth, airfare, hotel, etc. Get the feel, develop your work, and then you will be ready. Q) If you don’t hear from a company for a while do you contact them again? If so how long do you wait? Lilla: The odds are that you won’t hear unless they are interested. Keep sending NEW work in emails, and send newsletters with your newest work to them, too. Q) How do you decide which designs to sell outright and which to license? Lilla: That is the million dollar question. Short answer: some clients only buy outright, some only license. When starting out, you might be more open to either. If you sell outright, it’s ideal to sell outright JUST in their market. And sometimes you’ll make more money with a sale than with a royalty. Q) Are there paper or ink types that are more successful than others for hand lettering? Lilla: Try smooth (hot press) papers, and try rougher (cold press) papers. Try a variety of pens and inks and brushes. See what you like. Q) Could you please define for me the difference between wall art and fine art? After all Paul Klee’s work is considered “Fine Art” and hangs in museums today. Lilla: They are not mutually exclusive. Wall art is the broader term. It means any art that hangs on a wall. It refers to a market. Fine art refers to art that is not craft or commercial art, although I am not a fan of any of these distinctions and these kinds of distinctions are becoming less common. I prefer the distinction of Gallery Art and Wall Art. Galleries sell the original paintings, and Wall Art sells reproductions. for Lilla? Join us for the next round of Make Art That Sells. Class begins March 31. In this adorable video talented illustrator Reg Silva shares why she decided to make a real investment in herself and take Make Art That Sells… and what she learned along the way. Make Art That Sells is an investment in yourself and your art career. We realise that for some people it is easier to spread the cost over several months, so we have an interest-free installment plan available. However, this closes on Thursday 20 February, so be sure to register before then if you want to pay in three monthly installments!